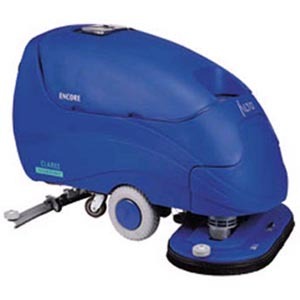 The ALTO ENCORE S33 a battery powered walk behind auto scrubber. The unit features a protruding brush housing for cleaning close to walls and under shelving. The low voltage shut off stops brushes to ensure proper recharging. The ALTO ENCORE S33 has a polyurethane body for durability and longevity.